St. James Parish combines Louisiana’s wild natural beauty with historic attractions that speak to the cultural heritage of the antebellum South. Situated between Baton Rouge and New Orleans along Interstate 10 in the state’s Acadiana region, the parish is dotted with quaint small towns that exude Southern hospitality and a passion for Cajun food and music. From cycling back roads to hiking forested trails or paddling through swamps teeming with creatures, St. James is a convenient base for sports and exploration. Easily accessible from Interstate 10, St. James Parish sits on the banks of the Mississippi River. State capital Baton Rouge is 42 miles north, while New Orleans lies 52 miles east. Surrounded by swamps teeming with an incredible diversity of flora and fauna, many outfitters in the region offer paddle tours and other opportunities to interact with the landscape. 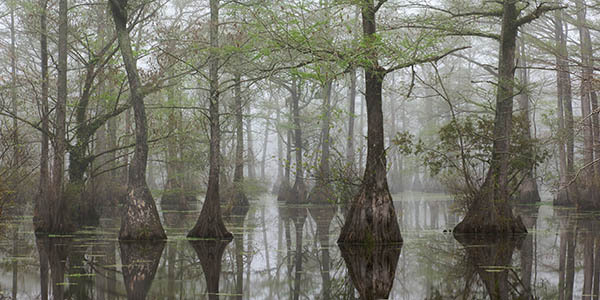 At the Maurepas Swamp Wildlife Management Area east of St. James, you can float amidst tupelo, oak and cypress-fringed swamps as you keep your eyes peeled for alligators, egrets and turtles. Just west of St. James, the Atchafalaya Basin stretches from Baton Rouge to the Gulf Coast 140 miles south. As the nation’s largest river swamp, this ecological powerhouse is one of America’s most important ecosystems. Its bottomland hardwoods, cypress swamps, bayous, and backwater lakes form some of the country’s most dynamic wildlife habitats. St. James also is famed for its historic plantation homes. 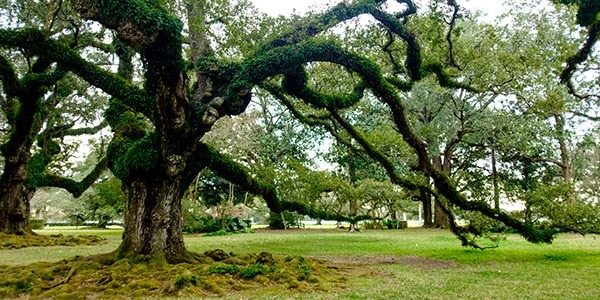 With a pathway lined majestic oaks, Oak Alley Plantation evokes the antebellum age.